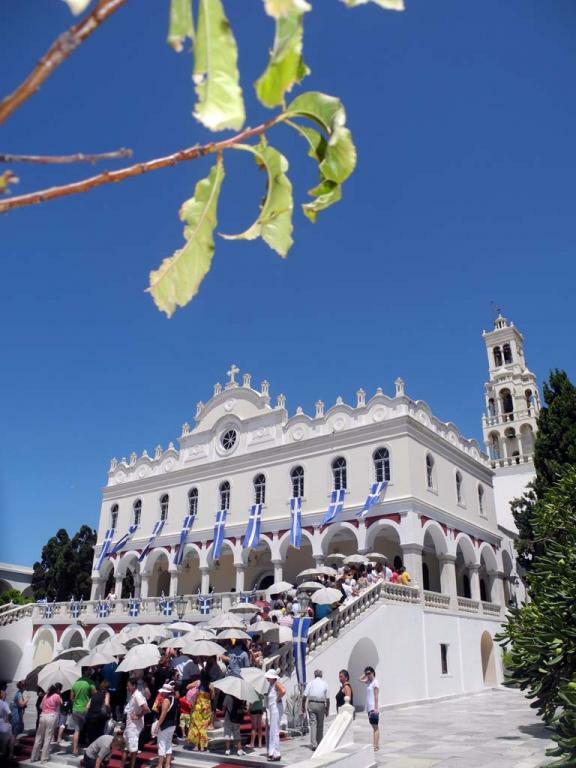 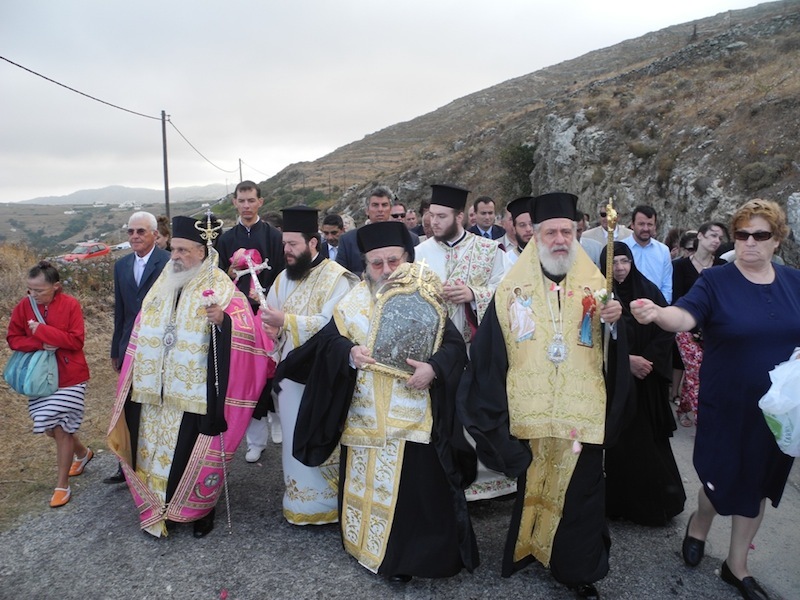 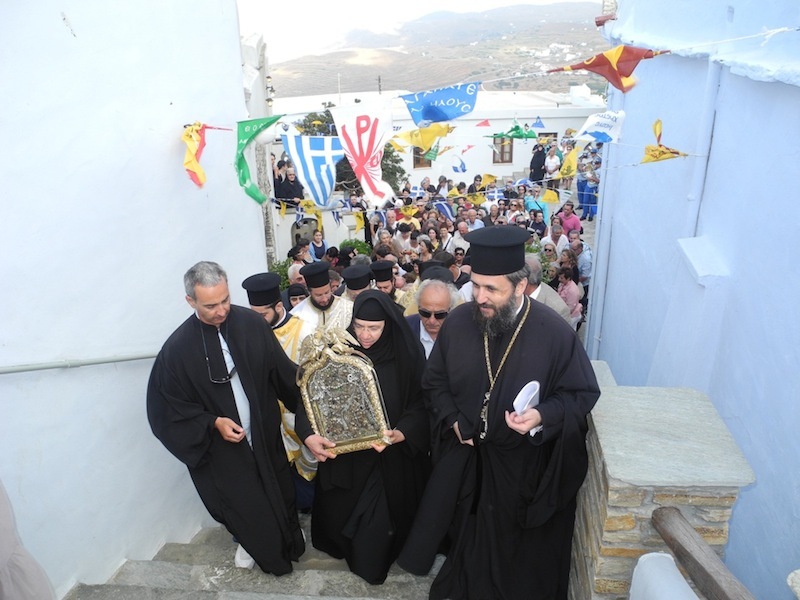 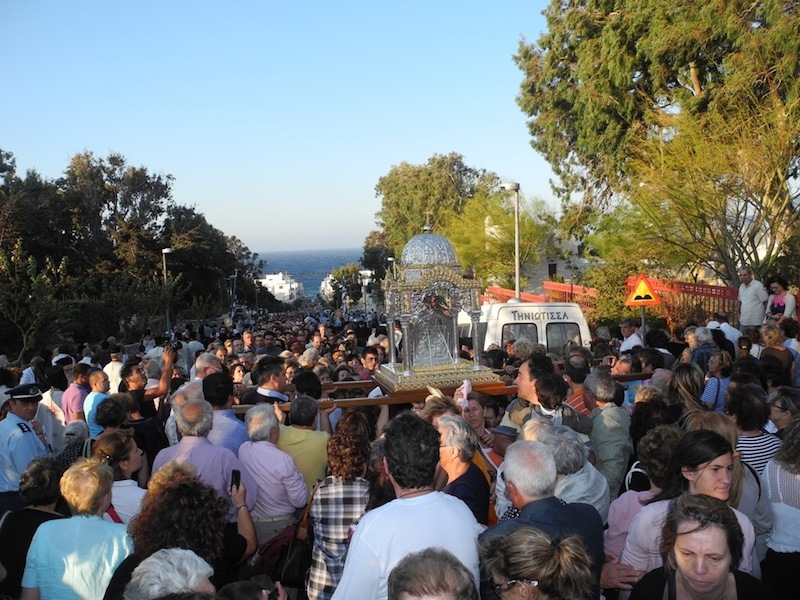 Thousands of faithful gathered on the island of Tinos today to celebrate the 190 year anniversary of the vision of St. Pelagia of the Theotokos, which resulted in the revelation of the miraculous icon of the Panagia Evangelistria of Tinos. 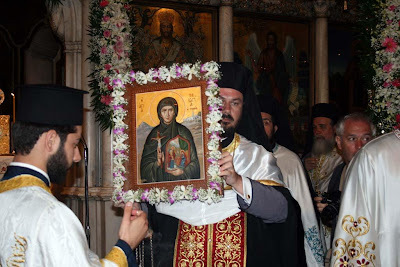 This morning the holy icon was brought from the Church of the Evangelistria to the Monastery of Kechrovounio, where St. Pelagia lived in asceticism and received the vision. 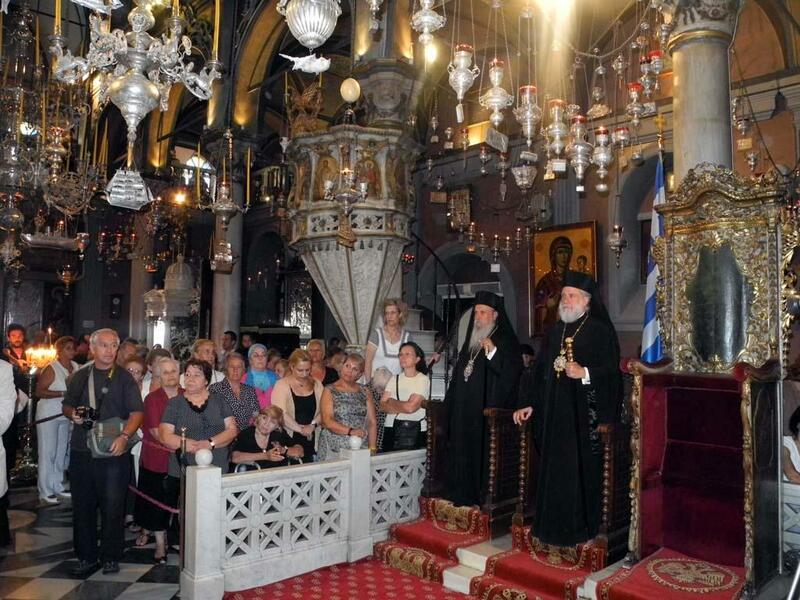 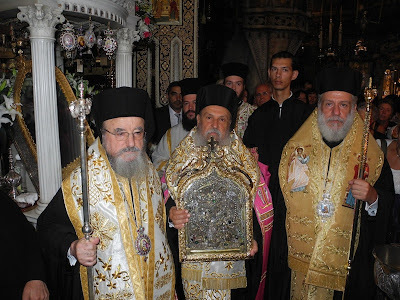 A Divine Liturgy was celebrated, presided over by Metropolitan Kosmas of Aitolia and Akranania.